The Brown County Sheriffs office offers a house watch program. If residents are on vacation or away from home for an extended period of time, the Sheriffs office will routinely patrol this location. Please call dispatch at 785-742-7125 to be put on the house watch list. 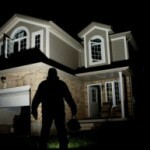 Information needed will be: NAME, ADDRESS, CELL PHONE AND GOOD CONTACT NUMBER, DATES GONE, LOCAL PERSON TO CONTACT This gives homeowners another option for home security as it to assist in combating crime however, no matter how vigilant we are, we cannot guarantee this will prevent an incident from happening.